Almost ten years ago, a little game by the name of Deus Ex: Human Revolution was announced with promises of grandeur. 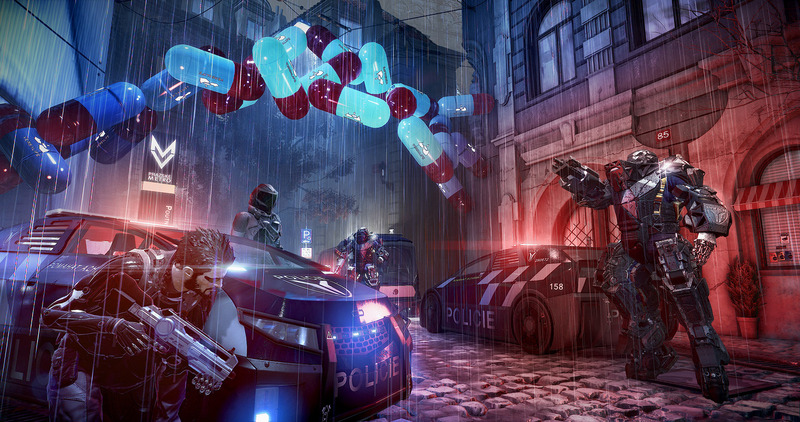 A cyberpunk adventure with a focus on stealth, action and RPG elements; what’s not to love? There was of course worry of whether or not Eidos Montreal could do Ion Storm’s legacy justice, but that concern quickly diminished when Human Revolution released to a glowing reception. Sure, it was a bit clunky and wasn’t the most technically impressive looking game, but it was one of the best RPGs released during the last generation thanks to its thoughtful storytelling and phenomenal stealth mechanics. That’s a hard act to follow, but Eidos Montreal is bringing back our android superhero, Adam Jensen, in a civilization that couldn’t be more divided. Adam Jensen is back and better than ever, working for anti-terrorist organization, Task Force 29, while secretly reporting to Interpol. If you’re familiar with the events in Human Revolution, know that the ending choices don’t necessarily follow over into Mankind Divided. The Panchaea platform did sink, but most were able to make it off the site, with the exception of Jensen, who was fished out of the ocean at a later date. It worked out for him as he’s now equipped with secret augmentations, making him even more dangerous. The story takes us to the Czech Republic capital of Prague, where the tension between the augmented and regular folk is palpable. It certainly doesn’t help that a devastating terrorist attack rocks the city right when Jensen arrives in town, adding to the already high security measures. It would seem like Augs are being discriminated against with a good deal of them being sent to a place called Golem City, which is more or less a jail for those who did nothing wrong but replace a lost limb. Task Force 29 is your main base of operation, outside of your apartment, and it houses various individuals Jensen will interact with throughout his journey. Unfortunately, as much as there are a few characters who you’ll want to get to know better, every single one of them is underdeveloped to the point of frustration. There needed to be far more interaction with NPCs, especially ones in Task Force 29 as there are some colorful characters that never become fully realized. It’s a wasted opportunity that makes this a forgettable cast. 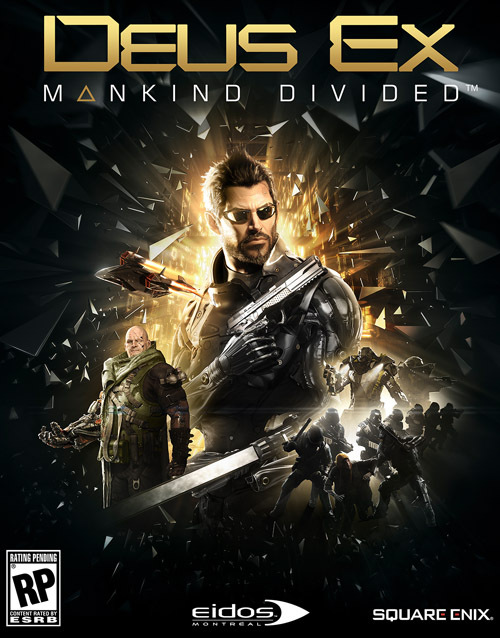 It should be stated that Mankind Divided is shorter than its predecessor, comparable to that of Invisible War. Completing all of the side quests and main missions, along with exploring virtually everything in the world took us roughly twenty to twenty-five hours, and then only eight hours on our second go around while still accomplishing everything. Overall, there’s around 25 missions combined, with only one of them spanning a decent length. Forget the short campaign, though; easily the worst offender of the story is that there’s no stakes at play. Neither Jensen nor anyone in the task force becomes in danger throughout the plot. There’s one instance where someone can die if you didn’t choose one of the branching paths earlier on, but the few choices given feel inconsequential to the story, not to mention they don’t build that character very well to begin with. Speaking of the branching paths, there’s only one instance of this throughout the game, and it feels completely unnecessary. It does force players to choose between two missions, but it’s something that should have been better explored, ultimately contributing to lack of peril. The story itself is the generic threat that needs to be stopped with some of the most predictable “twists,” if you can call them that, spread throughout the relatively short campaign. Eidos Montreal even seems to leave out some of the unique characters that inhabit the world; why are they even there to begin with? Usually, it’s the side quests that make up the bulk of the interesting tales, but unfortunately, of the few that are here, there’s only one that’s compelling enough to follow. This is because it focuses on the player’s investigation skill when a gruesome murder occurs. It will make you go back and forth on who to suspect while collecting evidence. The rest of them are essentially glorified fetch quests that require you to break into a location and take a single item. The worst part is that there’s very few of these that go past a couple of tasks, making them not only creatively disappointing, but quests that are over instantly. 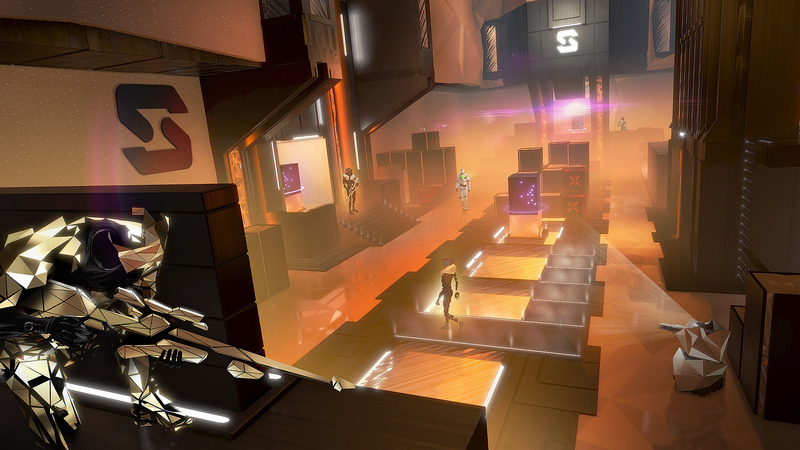 There’s also a peculiar pacing problem that makes Mankind Divided feel rushed in the later half. As soon as you’re planted in Prague, there’s a slew of side quests to find and you’ll feel involved within the world by exploring every nook and cranny. Same is somewhat said about Golem City, the first of three missions outside of Prague, as it contains a decent view of the rather disgusting segregation that’s going on in the world. Don’t be confused, though; Golem City isn’t the Hengsha of Mankind Divided as it’s a straightforward mission with a couple optional tasks that might get you to the end goal a little quicker. 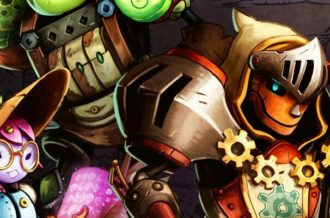 Unfortunately, everything past Golem City is a huge disappointment. Literally the next two missions outside of Prague can be completed in a combined time of one hour, and that’s if you’re exploring most of the rooms and hacking most of the terminals available. Even the time spent in Prague decreases significantly, mainly because the city itself begins to change for the worse, to the point it’s hard to find any quest givers. Because Prague is the only hub Adam Jesen will have, it should be a well-designed area with a plethora of content to back it up. Unfortunately, that’s not entirely the case. There are a number of problems with Prague, one being its core structure. It’s made up of windy roads, and it’s incredibly easy to get lost without having to bring up the map due to the lack of memorable locations. Worst yet, Jensen’s apartment is beyond a gigantic wall, meaning he’ll be getting on a train far too often, causing unnecessary load times and backtracking. It does have some verticality for exploration purposes, but the sewer system leaves much to be desired. Exploration in general can be a bit underwhelming and unrewarding because most of the hidden environments are repetitive in design. There’s also a great deal of locations in the world that feel underutilized despite taking up a good deal of the map; for example, there’s the Red Light District where you can meet the Red Queen (the owner of a prostitution bar) for unique dialogue, but nothing comes of her inclusion. In the area behind the Red Queen there’s a giant theatre that’s simply there for the player to sneak in and grab information and leave. There’s so much wasted potential here. 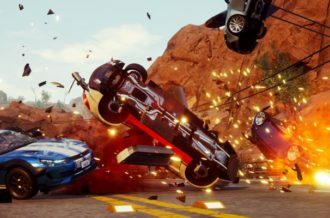 Now that we’ve spent multiple paragraphs critiquing the various shortfalls of Mankind Divided, let’s talk about something positive: the core gameplay. If you’re someone who loves to sneak around in the shadows, you’ll be in love with Mankind Divided as it retains the series’ strong stealth mechanics. Jensen has all of his abilities from Human Revolution but has gained a couple extras in the transition. These abilities are evenly split between action and stealth, allowing the player to choose which path they wish to go down. Remote hacking is probably the best addition, allowing to temporarily disable cameras, turrets, robots and more. If that’s not your cup of tea, there’s also the Tesla and Nanoblade abilities that shoot non-lethal and lethal projectiles, respectively, from Jensen’s robotic arms. There’s also P.E.P.S. that sends a shockwave towards your opponent, Focus Enhancement that slows down time, Icarus Dash which projects Jensen forward, and Titan, a coating of neodymium armor for your combat needs. 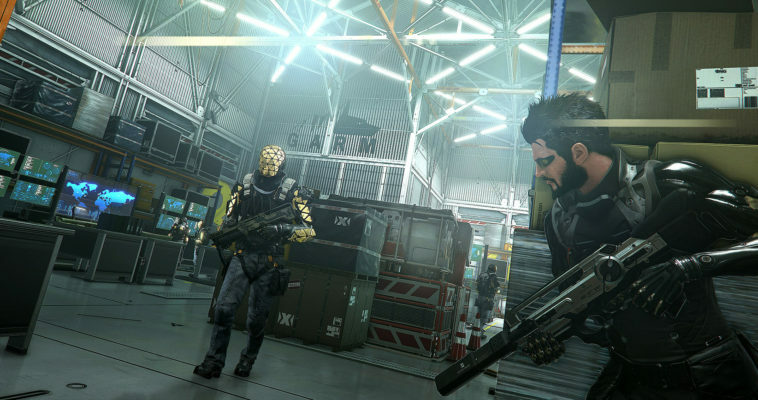 Suffice to say, the core gameplay mechanics in Mankind Divided are still some of the best in the business, plus gunplay has been refined to be much more of a viable and enjoyable option. Now that we’ve got that out of the way, it’s not all great in the gameplay department. 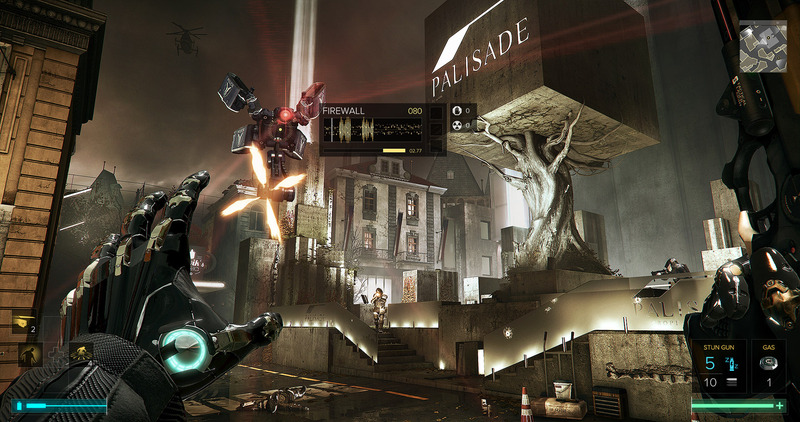 The biggest criticism with Mankind Divided is how Eidos Montreal lays out each scenario. I hope you like grates as they’re everywhere and connected to every room, not to mention being conveniently placed to find in order avoid combat all together. While some of the levels feel incredibly creative from an artistic standpoint, they’re damaged by the inclusion of so many easily accessible shortcuts. 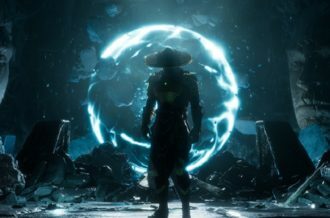 Of course players can avoid them all together, but in the attempt to make the game accessible to all, they’ve also made it far too easy to actually avoid engaging in the enjoyable combat. There’s no challenge, even on the harder difficulty setting, lazily designing simplified environments that will make stealth fans feel dumb. The mission structure is also tedious. It amounts to hacking, spying and talking with NPCs until the very end of the game where it finally becomes original, but by then, it’s far too late. If there’s one aspect Eidos Montreal just can’t get right with Deus Ex, it’s the boss battles, and somehow it’s even worse in Mankind Divided. 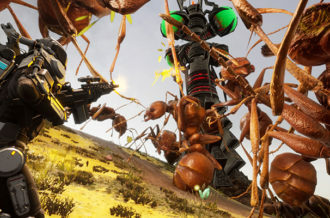 The issue purists had with Human Revolution was that, despite not counting towards a kill count, the bosses needed to be handled by a lethal means, ensuring those who were equipped more towards stealth were out of luck. For those who wished to preserve their pacification, it felt like a cheat, but thankfully a Director’s Cut version of the game fixed that later on. Even without the added non-lethal approaches, dismantling each boss was highly entertaining and was a nice break away from sneaking about and engaging with, let’s face it, boring enemies. Each had a puzzle to conquer and most of the time there were multiple solutions. Unfortunately, that isn’t the case with Mankind Divided as Eidos’ solution was to remove bosses all together. Well, not entirely as there’s exactly one boss at the end of the story, and he’s incredibly lackluster. It’s not like there was a large build up to it to begin with, but it’s as simple as sneaking up behind him and punching in the back of the head. Roll credits. I’m not even exaggerating. 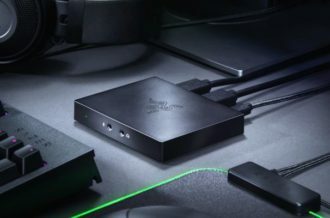 Of course, because we live in a connected age, there has to be an online mode in every game, and for Mankind Divided, it’s Breach. Breach isn’t a traditional multiplayer component, but instead is a time trial mode in which players compete with others online through leaderboards. It’s similar to Rise of the Tomb Raider’s Expedition mode where you’ll be tasked with various objectives while a clock is ticking down. The difference here is that you’re in a virtual world stealing terabytes of data at a time and will engage enemies. Surprisingly, this mode can be incredibly enjoyable as it’s an RPG hidden within an RPG. You will gain experience points to level up and earn praxis kits that will allow you to upgrade an avatar with abilities similar to Jensen, but in a much larger skill tree. Each mission is segmented in a virtual world where health and battery power doesn’t recharge, having to rely on weaponry. You won’t be able to be a pacifist here, but don’t worry, the opponents are digital security programs. Booster packs can be earned, along with purchased, in order to better expand your arsenal with RNG, not to mention add “cheats” during missions. In most cases, trial online modes feel slapped on and never feel fully realized; that isn’t the case with Breach as it’s arguably better than a lot of the scenarios set up in the single player campaign. Here’s hoping Eidos expands upon this idea. 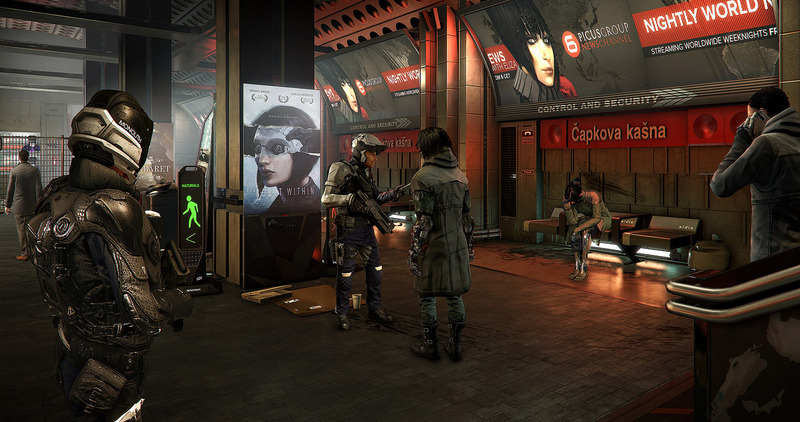 Deus Ex: Mankind Divided is the epitome of the phrase, one step forward, two steps back. I hate comparing it to Human Revolution as it was something special, but Mankind Divided feels like an underwhelming, repackaged experience. That’s not to say it’s a bad game as there’s a decently sized city to explore and the Breach mode is highly entertaining, but it’s a step down from a five-year-old game. Most of the supporting cast of characters never fully become developed, and it doesn’t help that there’s no stakes throughout the eight to twenty-five hour long campaign. No one is truly put in a situation of peril. Worst yet, the scenario layout for the main missions is easily described as uninspired, lazily slapping shortcuts all over the place. Granted, there are various ways to approach each area, but every single scenario is broken down in the exact same way where there’s far too many open grates to hide in and easily accessible security terminals to gain access to. Even the fantastic conversation system is less impressive due to it being underutilized this time around. Thankfully, the core stealth component is as exceptional as ever and even the gunplay is more of a viable option. This is aided with the additional abilities to Jensen’s already capable arsenal. Despite being a successor to Human Revolution, Deus Ex: Mankind Divided somehow ends up feeling more like a predecessor.